Unique idea but I don't like the Miller can and box......looks trashy. At the very least I'd swap out the Miller box with a Heineken box. 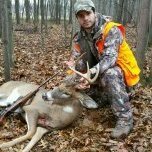 I saw this today as well on cny big buck site. Kinda neat with the old truck bed. My wife doesn't love the mounts. Pretty sure she would be very resistant to an old truck bed on the wall. But it is unusual. Maybe if it were carpeted ? Maybe pitch the idea to her while YOU'RE doing the dishes and the pregnant Mrs. Is relaxing. 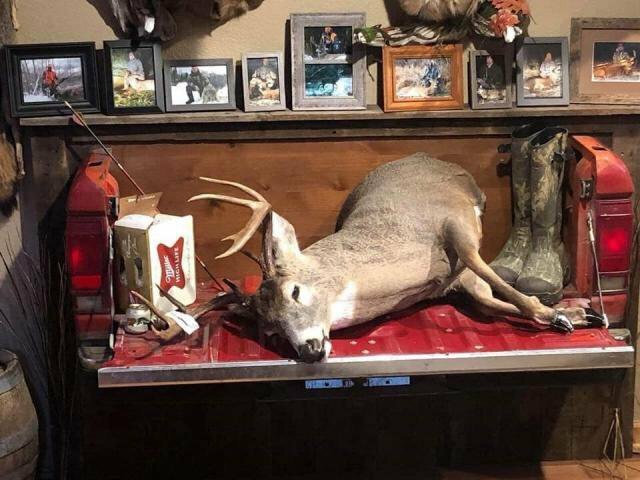 I am assuming the fellow who went through this expense wanted to remember that day taking that nice buck right down to the finest detail, pretty neat if you have the place to put it. 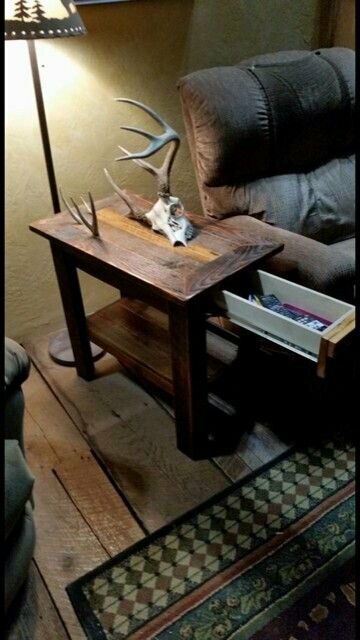 I like it ... if I had a man cave I would be in . That’s actually a pretty cool idea. If one had the $ and room why not. Only thing I would change is ditch the beer and make a spot for the weapon I used. I guess I am the odd man out on this one. I don't care for it. To me it's not truly honoring your harvest. Did he hit it with the truck? Shooting an inline is like kissing your sister. Unique for a reason maybe? Not a bad mount. Not something I would have done, but very unique. Just asking...but is that the original truck bed? Did he cut it off the original truck? I mean, the guy is into detail with the Miller beer. Or did he make a collage of a junk truck bed, just a beer box, etc.? And were those THE boots he wore? But sure is different. Did anyone see this at wny outdoor show? I thought it was different. Not something I would do, but kinda cool to see something different than the norm. I've seen very few mounts that I've ever really cared for . I'm a big fan of euro mounts,that's probably why. I don't like it but really, if the fellow that commissioned it likes it, it's a winner. How dare you look to downgrade from the champagne of beers to a green bottled skunk piss? For shame Ratty Water, for shame! I for one, do not even like photos of deer in the bed of a truck. 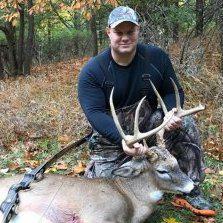 I like photos in the natural environment where the deer was taken. I can only imagine how much was spent to do this mount. 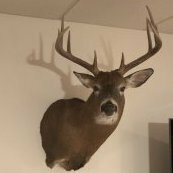 IMHO, it does a disservice to a very nice buck.